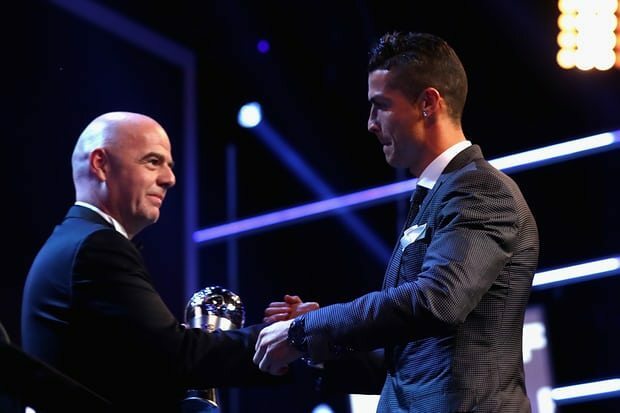 Cristiano Ronaldo was named the world’s best player at the 2017 Best Fifa Football Awards in London. 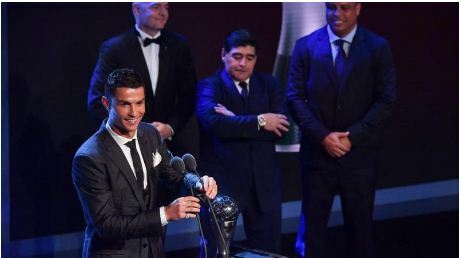 The Real Madrid and Portugal forward beat Barcelona’s Lionel Messi and Paris St-Germain’s Neymar to the honour. 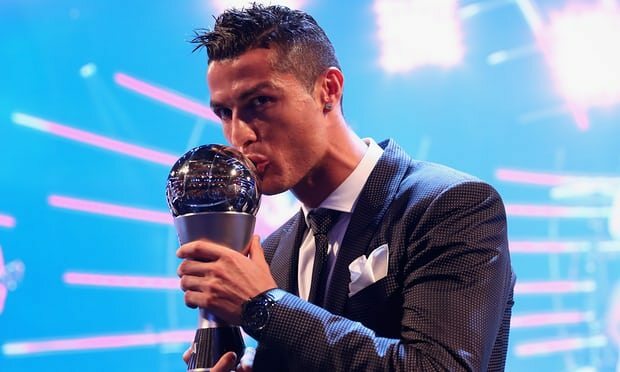 Ronaldo, 32, helped Real to a Champions League-La Liga double in 2016-17. Lieke Martens of Barcelona and the Netherlands won best female player, Real Madrid’s Zinedine Zidane was named best men’s coach and Netherlands’ Sarina Wiegman the best female coach. Arsenal’s Olivier Giroud received the Puskas award for the best goal of 2017 for his ‘scorpion kick’ against Crystal Palace in January. Celtic won the fan award after they honoured the club’s 1967 ‘Lisbon Lions’ with stunning 360-degree card display on 50th anniversary of historic European Cup win.